cdcindonesia.com - The enthusiasm of all job seekers, the following is information about job vacancies that come from one of the companies engaged in the service sector under supervision, namely:PT Superintending Company of Indonesia (Persero) - PT SUCOFINDO (Persero) or known as "SUCOFINDO" is a well-established state-owned company in Indonesia, running business in inspection and supervision services. 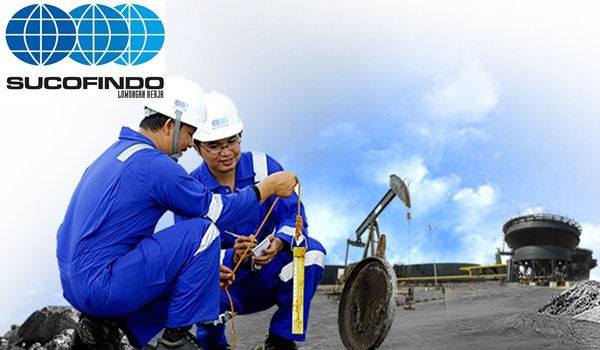 Headquartered in Jakarta, SUCOFINDO engaged in inspection and audit services, testing and analysis services, certification services, training and consultation services. As a state-owned company, SUCOFINDO is majority owned by the Government of Indonesia. As of December 2016, SUCOFINDO is 95% owned by the Government of Indonesia and other 5% remaining shares was owned by Societe Generale de Surveillance Holding SA (SGS SA). With services in all parts of Indonesia, SUCOFINDO now has 28 branch offices, 31 service units. SUCOFINDO also supported by 1 SBU Laboratory at Cibitung Bekasi and 1 Laboratory at Surabaya East Java.